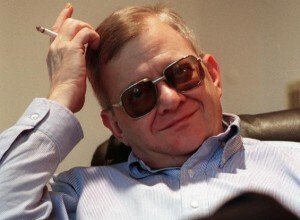 Megapopular author Tom Clancy, the ex-insurance salesman who wrote 17 rollicking No. 1 best sellers of international intrigue and espionage, died Tuesday. The 66-year-old Clancy passed away at Johns Hopkins Hospital in his hometown of Baltimore, according to his publisher, Penguin Group. He died after a brief illness, the Baltimore Sun reported. His surprising death comes two months before the scheduled publication of his next novel, Command Authority — likely the latest in Clancy’s run of blockbuster books. Clancy’s most popular creation was Jack Ryan, the fictional CIA analyst who eventually landed in the White House. The character was played by Hollywood stars Harrison Ford, Alec Baldwin and Ben Affleck in screen adaptations. 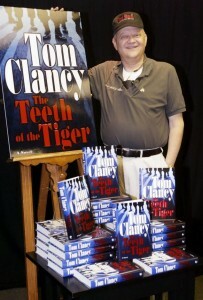 Movies based on Clancy books grossed nearly $800 million, and he sold more than 100 million books in his career. “He was a consummate author, creating the modern-day thriller, and was one of the most visionary storytellers of our time,” said Penguin Group executive David Shanks. Clancy sold his first book, The Hunt for Red October to the Naval Institute Press for just $5,000. An unexpected rave review — “the perfect yarn,” said President Ronald Reagan — propelled the book up the best seller lists. Reagan had received the book as a Christmas present. Clancy based the thriller on a true-life 1975 mutiny aboard a Soviet missile frigate. The 1984 novel sold more than 5 million copies, followed by a hit movie starring Baldwin and Sean Connery. 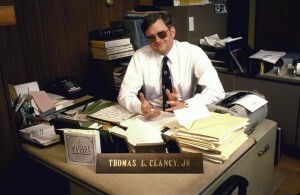 By 1988, Clancy had netted a $3 million contract with Putnam Penguin Publishing for his next three books. Clancy was even invited to a White House luncheon where Navy Secretary John Lehman expressed disbelief at the author’s ability to spin such accurate stories without access to classified documents. But attention to detail became Clancy’s calling card in his military thrillers. He plumbed books, interviews and unclassified papers to create his page-turning scenarios. His 1994 novel Debt of Honor even foreshadowed the 9/11 attacks, with a suicidal terrorist crashing a jetliner into the U.S. Capitol. Clancy’s own hopes of military service were scuttled by nearsightedness, sending him into the insurance industry. The son of a mailman said boredom led him to launch his writing career. 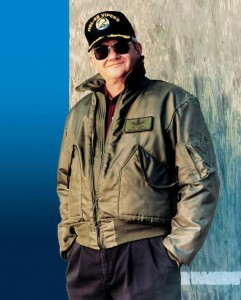 He started Red October in 1982, with success quickly following. 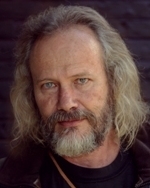 Clancy is survived by four children and his second wife, Alexandra Llewellyn. The days of bookshops buying hundreds of copies of a book are gone – this is only enjoyed by a few authors whose names are recognised, household brands. For other writers, and there are over 300 000 books published every year, the process of publishing has undergone a major change. An author’s first job is to write something brilliant. And their second job is to connect with the masses and the media. In a nutshell, they need to make themself, and their writing, DISCOVERABLE. How do they do this? Every author needs to build themself a platform in the online world that will allow them to share their ideas, collect followers, engage in conversation and essentially grow an audience hungry for more. That hunger is the very thing that sells books, be they printed or electronic. Help? I Love Books can help – we will do the creation and the implementation, and hand over a customised social media package to get an author started on their road to discoverability. ABOUT TRACEY McDONALD – I have always loved reading. My earliest memories are those spending every Saturday morning in the town library, listening to ‘story-time’ and then being able to choose my three books to take home for the week. Once grown up, and various career paths later, I started working at Penguin Books and after eleven years with the company, as sales and marketing director, I recently decided to leave and open my own business, I Love Books. 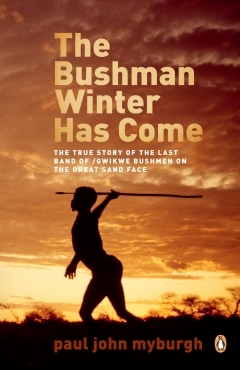 If you would like more information about this, please contact Tracey McDonald at 083 659 7489 or email at tracey@ilovebooks.co.za.